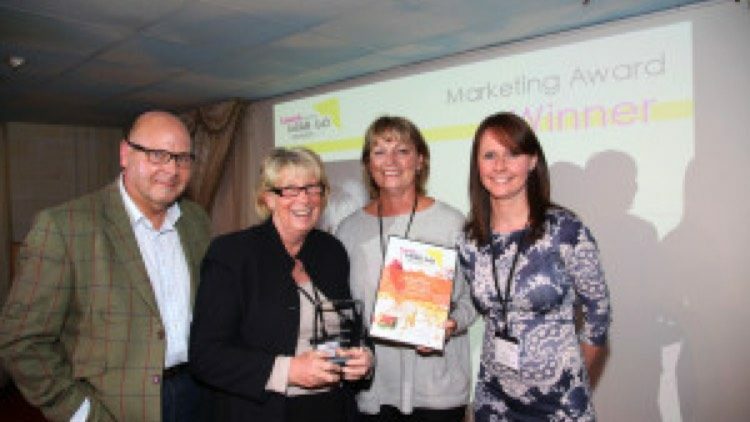 bartlett mitchell won a Lunch Business Grab & Go marketing award for DARE- their Delicious and Responsible Eating programme. Moving forward work has well underway for the new launch of bartlett mitchell’s 2015 Grab and Go range, starting with the new point of sale material that gives the customer price points, interesting information on forthcoming promotions for the sandwich, boxed salad, smoothies and savoury bags as well as sustainability and provenance facts. The new food offer could be taking a plain tuna mayo and turning it into a fabulous sandwich using fresh tuna, or boxed salads showing the calorific content and allergens for those customers who are watching their waist lines and need to know what they are eating. Other ideas include our new healthy detox smoothies, or our Savoury Bags for the customer to take back to their desk or eat in the restaurant with a simple salad. These are full of interesting snacks such as scotch eggs with a difference (a quails egg encased in a mixture of smoked salmon and fresh salmon) or a twist on our mini sausage rolls comprising of three different flavours.